Fishing: Learn basic fishing skills and get a chance to do some fishing in the lake! Archery: You will learn how to safely handle and shoot a bow at targets. Camping: A fun way to spend time with loved ones is camping. Learn camping skills and the gear you will need to do it on your own! Camps are free of charge, but the number of registrants is limited. Registration will soon be available. Please register early to secure your spot! 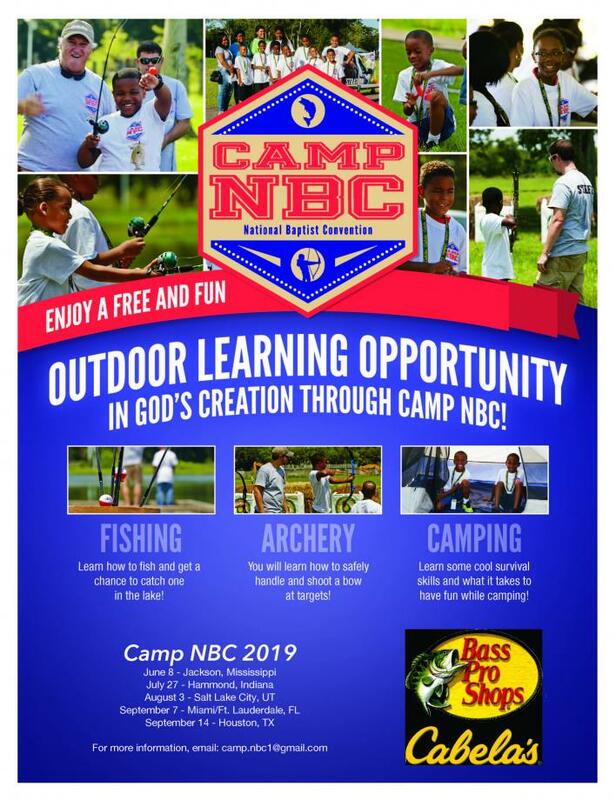 Camp NBC is a partnership of the National Baptist Convention, USA, Inc. and the Cabela’s Outdoor Fund, was established in 2015. Camp NBC is supported through a four-year grant by the Cabela's Outdoor Fund. It is our hope that Camp NBC will reach the children of the National Baptist Congress through life-changing, spiritual outdoor learning experiences and offer fresh perspectives on career and recreational options and opportunities. Help Cabela's diversify its workforce, broaden its outdoor education efforts and expand its customer base. Camp NBC Announces Dates and Locations for 2017! 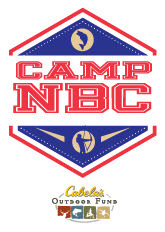 NBC - Cabela's Partnership Announces New Camp Dates for 2016!